Everyone, you won’t believe this. This may come as a shock. I’d like you all to be sitting before I deliver this news: it looks as though the next Halo game is going to be called ‘Halo 5′. I know, crazy right. Halo 5 follows Halo 4, which followed Halo 3, which followed Halo 2, which followed Halo. This is the fifth sequential game in the Halo narrative and it’s going to be called Halo 5. Who could have seen it coming. We received this breaking, earth shattering news from a trailer shown on the Axis Animation Facebook page. Axis Animation was responsible for the CGI trailer shown at E3 this year during Microsoft’s conference. 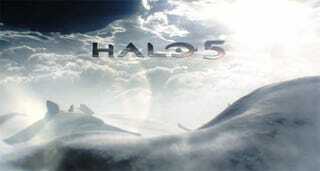 In all seriousness, we didn’t know the game was going to be called Halo 5 and the previous trailer simply said ‘Halo’. Also, this doesn’t necessarily mean the game will be called Halo 5 — it could have just been placeholder. But let’s be realistic here: it’s going to be called Halo 5.